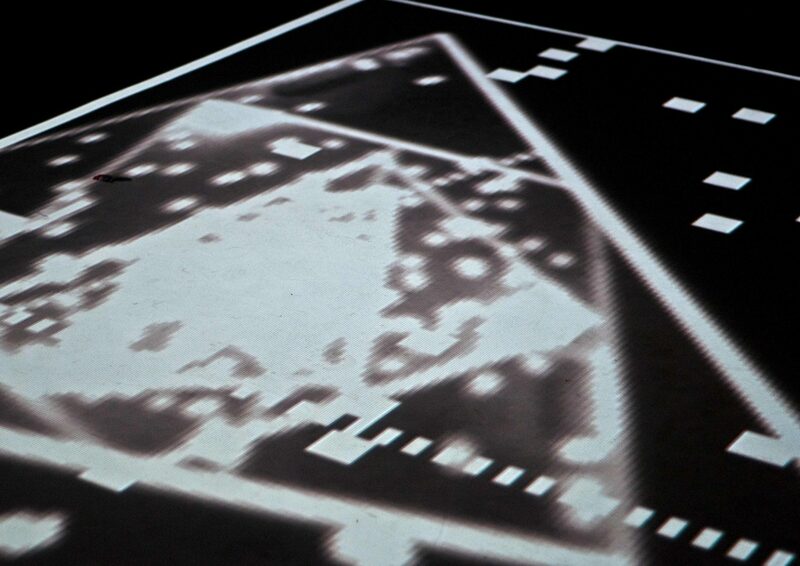 Users sit playing a simple game of Pong on a television screen, and also projected on the floor. 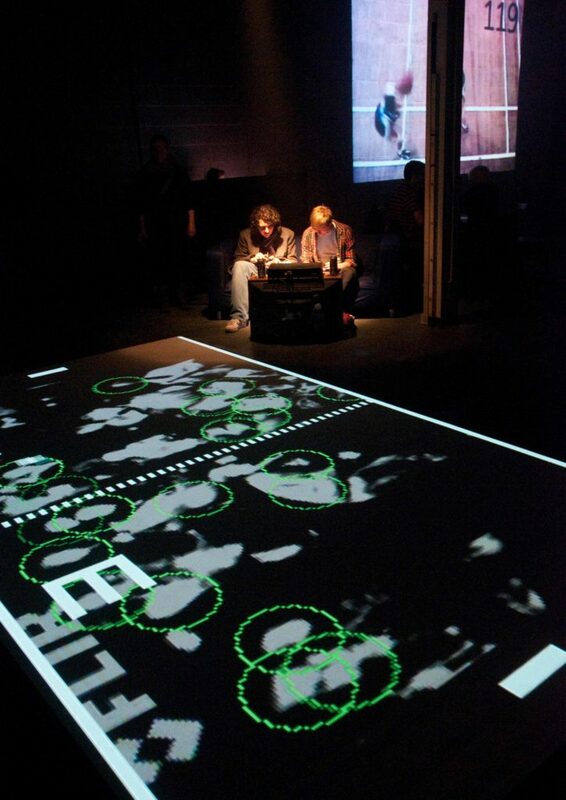 The thermal IR camera points to the wider gallery space tracking any people it sees as ‘blobs’. 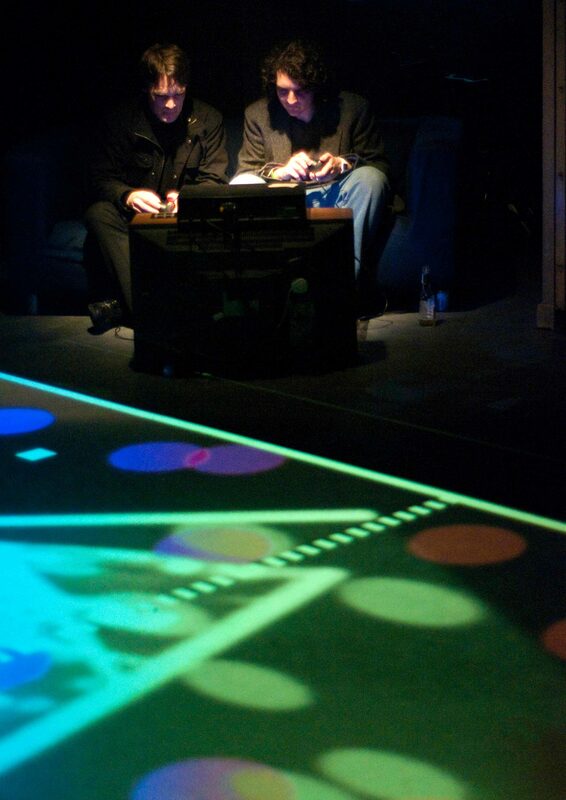 These blobs are inserted into the Pong play space causing disruption within the game for the players.